Why isn't it summer yet? Or at least consistently spring!?!?! Here in Kentucky we have had a longer-than-normal winter, followed by a just-can't-maintain spring, and I am done. DONE. DONE! with it. I'm ready for warm sunny days that I can spend outside, slushy adult beverage in hand, watching the kids play while reading my book in the sunshine. As I write this, it is 42 degrees and overcast. But at least I have my drink. 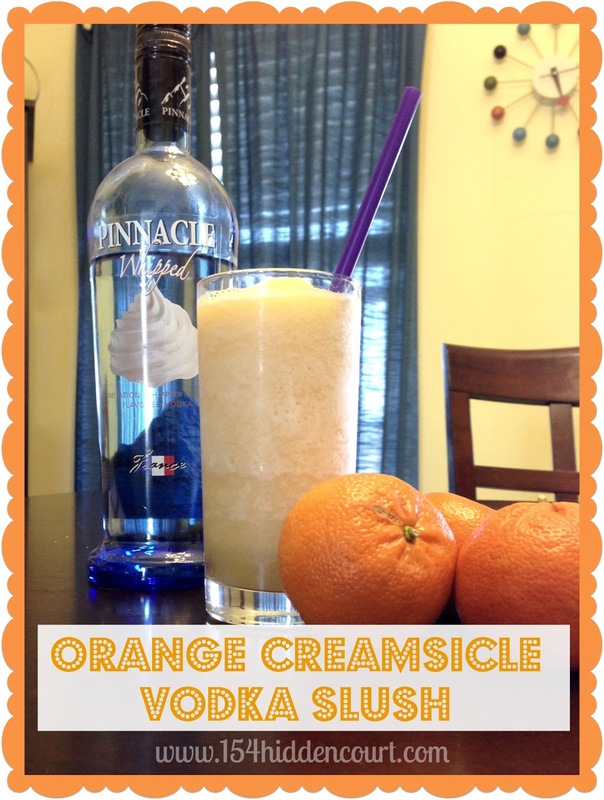 Put all ingredients in the blender and blend to the desired slushy consistency.